Liv’s Tangle shorts have been an integral part of my riding wardrobe this season. Not only are they a fabulous style statement on the trails, but more importantly they are the most comfortable and unobtrusive mountain bike baggies I’ve ever worn. While riding, you shouldn’t notice your clothing or equipment. When everything is right, it just flows and is a natural part of the ride. When you do notice something, it’s usually because you’re uncomfortable or something isn’t working properly. In the past, all of the baggies I’ve tried have bothered me in various ways – uncomfortable fit, too long, too short, chaffing, getting stuck on the saddle, too hot, fabric getting waterlogged/clingy, etc. All of these things combined made me think I just wasn’t a baggies kind of girl. And it made me wonder how everyone else could put up with them. The Tangle baggy is a great layer for winter riding. Being an elite XC racer, I generally feel most comfortable in a single layer of Lycra. However, sometimes it’s a good idea to wear an extra layer for things like warmth and protection on the mountain bike. 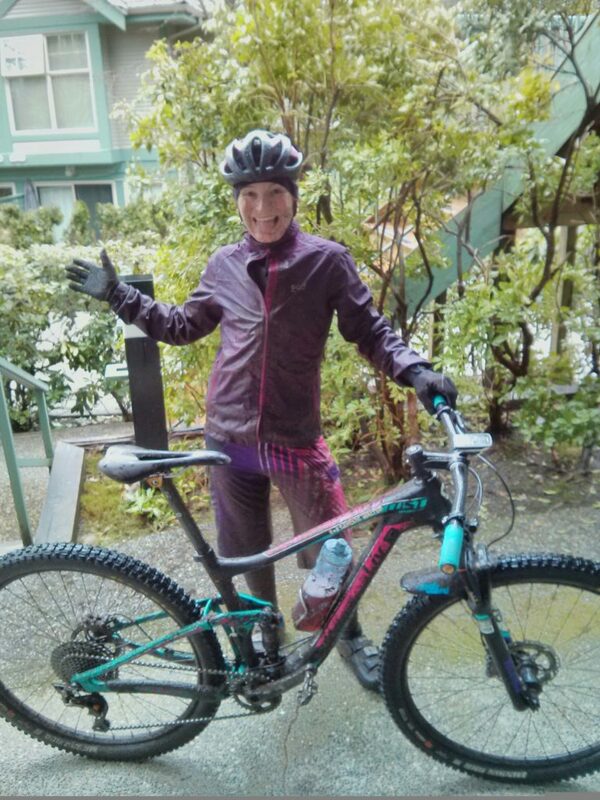 Plus, there’s the cool factor – yeah, I see those looks when I’m decked out in full XC kit while riding my trail bike! When I experienced the Tangle shorts, I realized my problem with baggies wasn’t on my end, the problem was with the baggies I had previously been wearing! 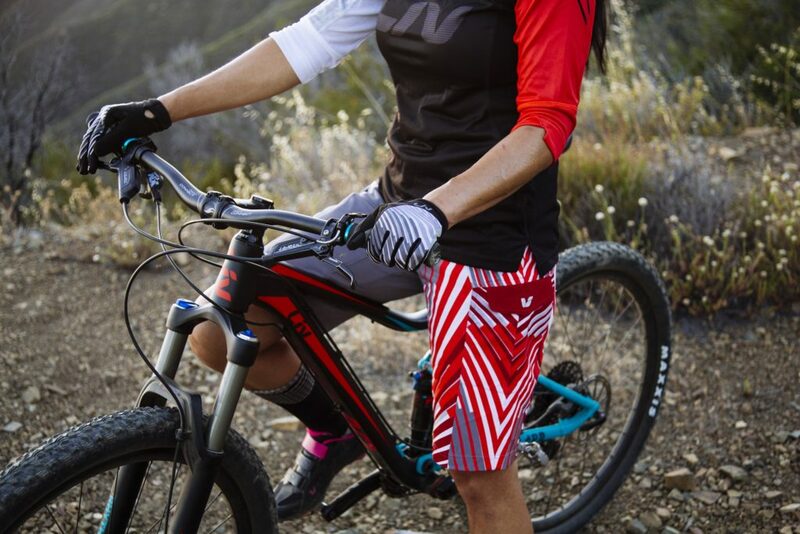 The Tangle short’s fit is streamlined, so there’s never a worry about getting caught on the saddle or a branch. The fabric is soft, stretchy and breathable, yet robust, so it’s super comfy and moves with the rider while offering that important element of protection. Plus, it doesn’t get waterlogged and clingy in wet conditions. 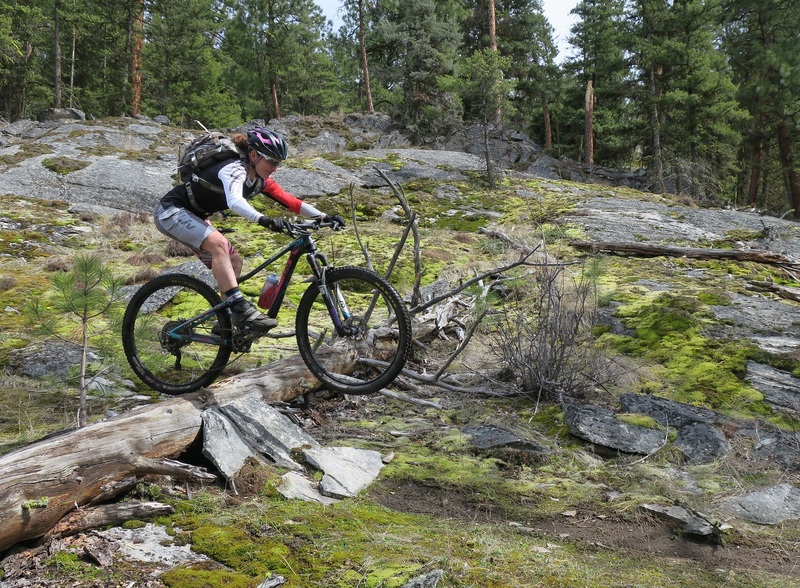 Baggies offer extra protection for mountain biking. The Tangle baggies don’t come with a liner/chamois, but that’s fine, because I can wear any of my many pairs of preffered Lycra shorts underneath. The Tangle’s flashy colours and graphics speak for themselves. The bold and asymmetrical colour placement is fun and definitely turns heads. I think it’s great to add some more flash to mountain bike fashion, especially when it feels so good.